Home › 1. Transportation › Transportation Rate Outlook: Will 2015 Be a Good Year for U.S. Logistics Managers? Transportation Rate Outlook: Will 2015 Be a Good Year for U.S. Logistics Managers? It is hard to tell whether it is going to be a good year for U.S. logistics managers this year. In a recent article by Logistics Management magazine, new forecast data from the Institute for Supply Management suggests that U.S. logistics managers may expect more new business in the coming year. Even a major decline in fuel prices will not keep trucking rates from climbing in 2015. As long as the economy continues to grow at an annualized rate of 2 percent or more, it’s projected that supply and demand should further tighten across the trucking industry. Full implementation of electronic logging devices and speed limiter regulations will reduce trucking industry productivity. But shippers willing to work with carriers to optimize equipment utilization will have the best chance of mitigating rate increases in 2015. Fleet Owner magazine is echoing many of the same points. 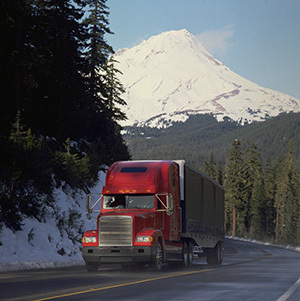 When commenting on rising trucking rates, John Larkin, managing director & head of transportation capital markets research for Wall Street investment firm Stifel Nicolaus & Co., said that that the mandate for electronic logging devices (ELDs) and speed limiters will impact the industry the most. He also said that one-third to half of all trucking carriers violate hours of service (HOS) rules to survive. Driver turnover is also making the news. According to the American Trucking Association, economic growth and increased freight demand will continue to exacerbate the shortage of drivers many sectors of the industry are witnessing. Smaller fleets are seeing higher turnovers with improving pay and benefit packages at large carriers being one of the reasons.